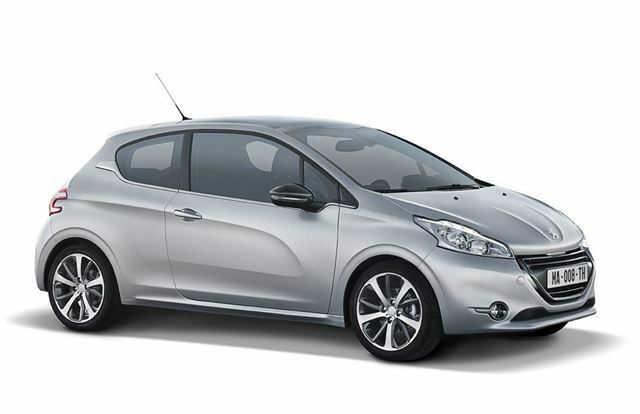 Peugeot’s new 208 is set to arrive in the UK in June 2012, and it’s been given a significant overhaul over the current 207. Both three- and five-door models will be available. While still recognisably a descendant of its 206 and 207 predecessors, the 208 is bolder and more stylish – gone is the gaping, whale-mouth like grille and massively oversized headlights, replaced with angular and more attractive units reminiscent of those on the 508 saloon. The 208 is lighter and more aerodynamic than the 207 - couple that with new three-cylinder petrol engines and micro-hybrid e-HDI diesels, and economy is extremely impressive. No model in the range emits more than 99g/km of CO2. The most efficient diesel can travel 83.1 combined cycle miles on a gallon of fuel, and emits 87g/km of CO2. The 208 is slightly smaller than the outgoing 207, with a few centimetres shaved off both width and height, but despite that interior space is improved, with 5cm more rear legroom and 15 litres more rear bootspace. The controls have been redesigned in line with the exterior, with a small steering wheel, intuitive controls and clear, well positioned dials. There’s also a large touchscreen infotainment in the centre console. Overall the style and quality look much improved over the fairly uninspiring 207. Peugeot claims that the 208 features a “new level of engineering between comfort and road holding.” It’s safe to say that reduced weight and a compact exterior make for enjoyable handling, and a smaller steering wheel is usually indicative of an agile chassis. There are currently no details on pricing, performance or equipment levels, but expect more news nearer to Spring 2012, when the car launches in Europe. UK specific details will be released nearer the UK launch in Summer 2012. For in depth information on the current Peugeot line up, click here.